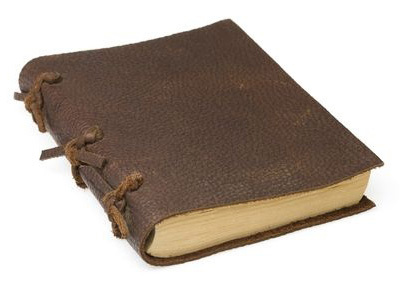 Some of history’s greatest figures were known for keeping journals. The list includes: Theodore Roosevelt, Thomas Jefferson, Charles Darwin, Winston Churchill, Ralph Waldo Emerson and Benjamin Franklin to name but a few. Now obviously it was not keeping a journal that directly led any of these people to achieving the great things they did. Rather it is a curious correlation and perhaps for some, the opportunity to keep such amazing company will be enough in itself to encourage them to start a journal. But there are also many other reasons to start a journal and you may actually find that it can be a very cathartic, relaxing and even meditative. Most of us spend the vast majority of our days rushing from one emergency to the next, sitting in front of computer screens and stressing about money and time management. When you write a journal though, this is a quiet period at the end of the day that forces you to take some time out and to reflect. This makes it a great habit to get into and one that can help you to reduce stress and to feel a little more on top of things when life gets tough. Writing a journal is sometimes essentially like ‘talking to yourself’ but in a more structured manner. Just as you can bounce ideas off someone in a conversation, writing something down and thinking about it can often help you to come to realizations on your own. The key difference though? When you write a journal you can be completely honest and you can be completely yourself (assuming you’re vigilant to ensure no one else reads it – we don’t want any Diary of Bridget Jones scenarios here!). Had a hard day? Stressed? Depressed? Whatever you’re feeling, tell it to the diary! According to a number of studies, writing about our feelings is a very effective way to help us deal with them and leads to longer term stress relief and better mental health (1). Again, this is a space to be completely honest and to let those feelings out! As you write down all these thoughts and feelings, you can find yourself coming to realizations about yourself that perhaps you hadn’t noticed before. This makes it an excellent tool for improving your self-awareness and this in turn can have a large range of positive impacts on your life. Self-awareness helps us to improve our own mood and psychological shortcomings via cognitive behavioural therapy and it helps us to relate better to people. Perhaps you come to the realization that you can be a bit short and sharp with people? That can only lead to better relationships in the future! Believe it or not, writing in a diary might also be a handy form of brain training. That’s because you’ll be using cursive (handwriting) which is an intricate and complex motor skill that incorporates a lot of different brain regions in a single taste. This is a dying art in the age of computers, so journaling is a good excuse to keep it up! As you go over the events of the day and review everything that happened, it helps you to appreciate those things more. Perhaps you gobbled dinner down and didn’t take the time to savor each morsel? Well, now’s your chance to relive that meal and to really appreciate just how delicious it was. At the same time, recapping your events like this will help to cement them as memories giving you an overall better biographical memory – something that can only be a useful tool. And even if you really can’t remember what happened a few weeks ago, you can always look back at your diary and find out! It’s very easy to get caught up in the here and now and to stress about little things that don’t really have much consequence in the grand scheme of things. Then, when a few weeks pass, we forget all about the broken boiler or our aching knee and suddenly that part of our life seems like a perfect, golden memory. Having a diary helps to give you a little more perspective and looking back through it can help you see how much has changed and how much has stayed the same. Our memories like to play tricks on us and this can sometimes lead to dissatisfaction with where we currently are. A journal ensures that doesn’t happen. Of course the age-old reason to keep a journal is so that you have a record of your life. In a way, journaling grants you immortality and there’s always the possibility that you could use your records to write a memoir that your children and grandchildren could enjoy. In a way, it makes your everyday experiences that much more meaningful too – because they aren’t just going to be forgotten. That’s a pretty uplifting note to end on: journaling makes you immortal. Do you really need more reasons to start doing it?